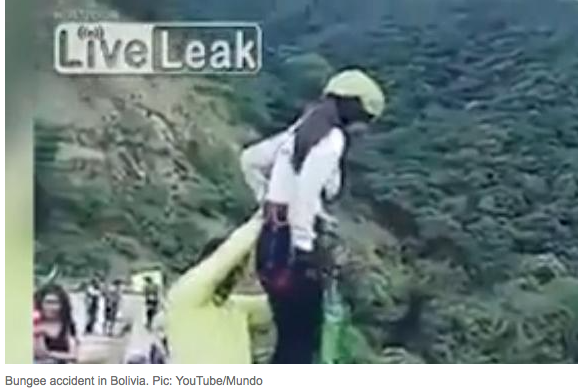 A YOUNG woman on holiday in Bolivia has miraculously survived after she plunged 15m into the shallows of a riverbed when her bungee jump rope failed to brake and retract. Barely able to move on her own she was taken to a private clinic in Santa Cruz de la Sierra for treatment. She was discharged a few days later after only suffering minor injuries. 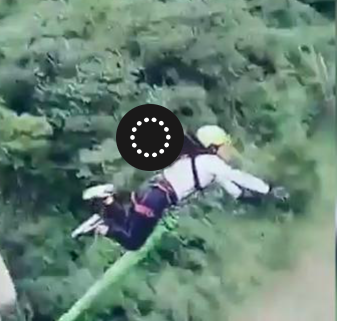 Prior to her jump, the video shows the bungee assistant making a final check and positioning the woman to dive off the La Negra bridge. Director of the company, Oscar Sandoval, says the cause of the accident comes down to human error. 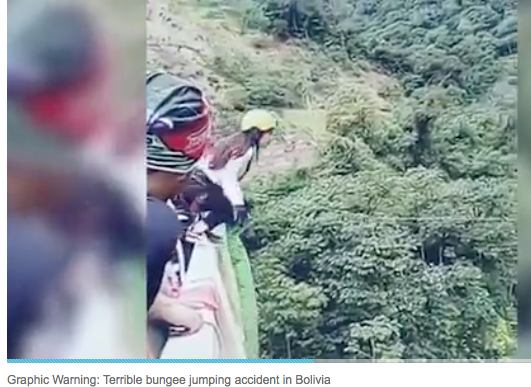 He said it was the first time something like this to happened to the bungee company. This entry was posted in Bolivia, Holidays, Santa Cruz and tagged accident. Bookmark the permalink. NEVER IN A MILLION YEARS EVER !!!!!! !